Yellow 2.5 mil. low density film. Fold-over, reinforced die-cut handles. 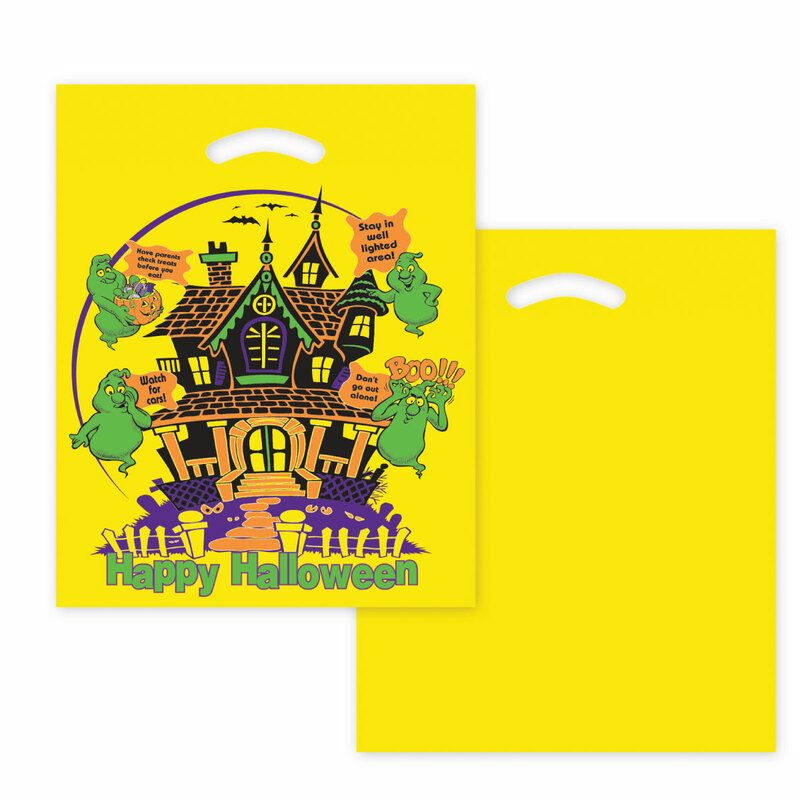 Each bag features Halloween safety tips with a multi-color design.